Shooting limitless photos and videos, downloading movies, music and podcasts. Today’s tablets, smartphones and laptops allow us to create more data than ever before - but we need room to store it. 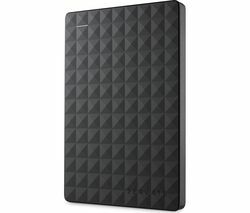 External and internal hard drives give you a range of ways to store and back-up your data, safely and securely. Thanks to external, internal and portable hard drives, we don't have to just make room with whatever storage capacity our laptop or PC has onboard. Our hard drive options give you room to grow. Copy, store and organise your files, photos, movies, music and more in seconds, freeing up room on your PC or laptop to instantly speed up all-round performance. Choose portable hard drives that plug in via USB or firewire for fast transfers of even the largest files. Easy to slip into your bag or even a pocket, these hard drives are more portable than ever, without the need for a dedicated power source. Wireless hard drives mean you can get extra storage quickly, without having to fiddle with cables. Internal hard drives and Solid State drives are incredibly easy to install, compatible with PC and Mac, and boost your storage space by up to 6TB. 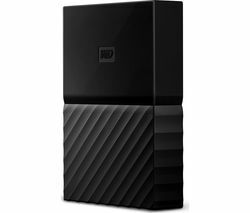 External hard drives simply plug in and are ready to go, with mains-powered drives giving more cooling fan power and durability. Whatever you want to store, our hard drives are designed to meet a range of memory needs. From pocket-friendly USB flash drives that give you up to 64GB all the way up to external hard drives that give you 8TB of serious back-up power, it’s easy to find a storage solution that fits your needs and budget. Our range of hard drives includes all of the leading names in reliable data storage, including Seagate, WD and Toshiba.